Modern Tyres is a family run business celebrating over 50 years in the tyre industry. There are genuine opportunities to advance based on merit. 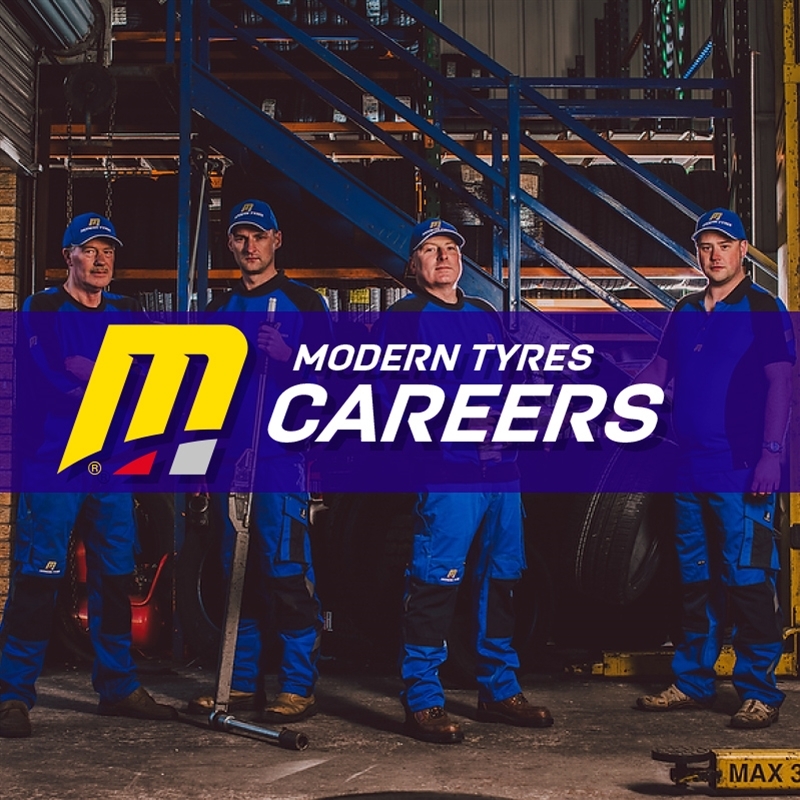 So if you are just starting out on your career or are ready for a new challenge, Modern Tyres may be just what you are looking for. 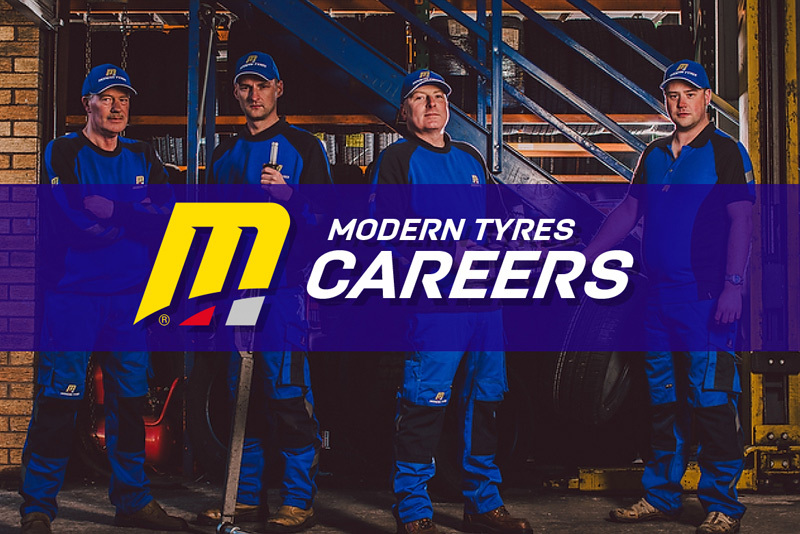 As one of the largest tyre retailers/distributors in Ireland, Modern Tyres are a very pro-active and forward thinking company with numerous depots throughout Ireland. We are focused on supplying and fitting tyres to the highest specification, with the highest level of customer service. We are looking for a Warehouse Operative based in our Tempo Road depot in Enniskillen. We are looking for an experienced Van Driver based in our depot in our Head Office In Enniskillen (Full-Time). Please apply below with your current CV. Due to the high number of applications expected, only those shortlisted will be contacted. Closing date for applications is Friday 19th April. We are looking for an experienced lorry driver based in our depot in Enniskillen. We offer a competitive salary / bonus package and excellent working conditions. 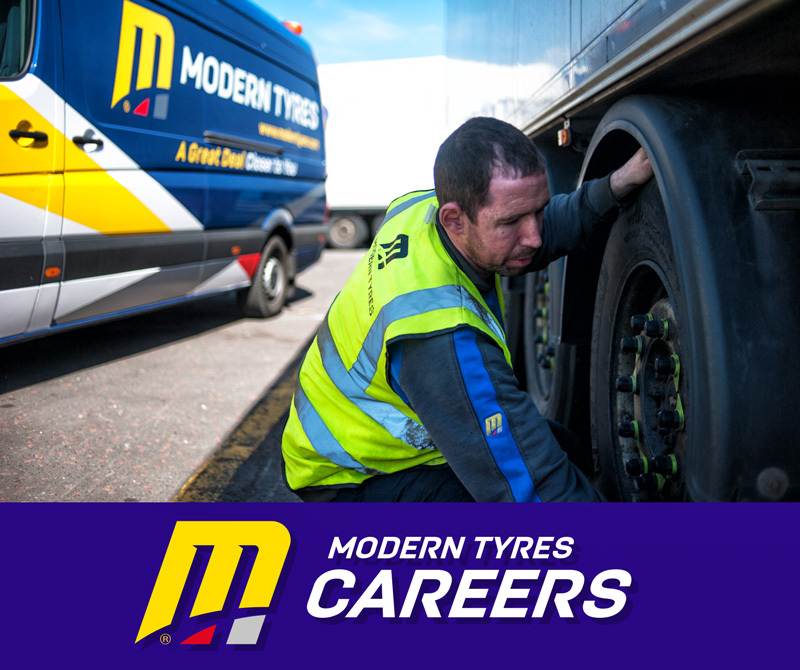 We are looking for an experienced tyre fitter based in our depot in Tallaght, Dublin. We are looking for an experienced tyre fitter based in our depot in Castlebar. We are looking for an experienced Agri Tyre Sales Specialist based in our depot in Newry (Full-Time). This is an office based position with occasional off-site visits. We are looking for an experienced commercial breakdown tyre fitter, to join our busy team in our STRABANE depot. Your prime responsibilities to name but a few will include attending our customers sites to replace or service commercial tyres and carry out roadside breakdown callouts. A high degree of service is required with a helpful and informed manner. Working in a safe manner with due consideration in the fulfilment of your job, particularly on roadside is essential as is an attention to detail and a professional approach to all aspects of the job. In your day to day role, you will be required to adhering to all health and safety policy and procedures, contributing to good housekeeping routines and providing our Customers with excellent service which they have come to expect. Immediate start. Clean driving licence required. We are looking for an experienced commercial breakdown tyre fitter, to join our busy team in our BALLYCLARE depot. We are looking for an experienced commercial tyre fitter, to join our busy team in our BANBRIDGE depot. Your prime responsibilities to name but a few will include attending our customers sites to replace or service commercial tyres and carry out general fleet checks and truck fitting. A high degree of service is required with a helpful and informed manner. We are looking for an experienced commercial breakdown tyre fitter, to join our busy team in our BALLYMENA depot at Noel Reaney Tyres. 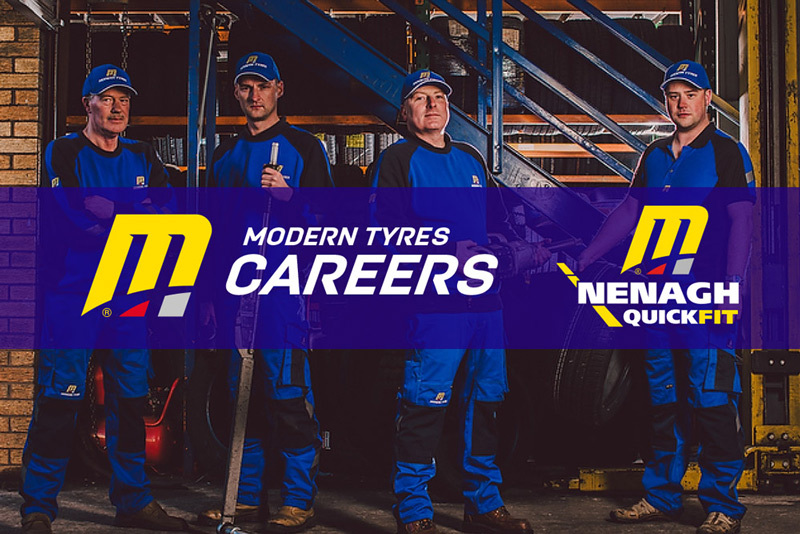 Modern Tyres Enniskillen, Queen Elizabeth Road, are looking for a Motor Mechanic for their workshop. We have an exciting opportunity you won’t want to miss and we are looking for a good team player with strong motivational qualities. A high degree of service is required with a helpful and informed manner. Working in a safe manner with due consideration in the fulfilment of your job. In your day to day role, you will be required to adhere to all health and safety policy and procedures, contributing to good housekeeping routines and providing our Customers with excellent service which they have come to expect. Must be a Flexible team player. This is a full-time position requiring an immediate start. Clean driving license required. Our Commercial Technicians provide a comprehensive service to our commercial fleet customers across Northern Ireland in line with our exceptional standards. Ideally you will have a back ground in commercial tyres and an understanding of the importance of full tyre maintenance and tyre husbandry. You will be required to complete job cards and associated paperwork. There will also be a requirement to attend “out of hours” breakdowns on a rota basis with our Commercial Team. You must have a good standard of English literacy and numeracy skills together with a full UK driving licence. Good communication skills are essential and the ability to explain problems and offer solutions. You must be able to work weekends and be flexible to cover the work of other nearby locations if necessary. This is an excellent opportunity to work for a progressive company with over 40 branches Nationwide. For further information or to receive an application form please contact 07715326003.